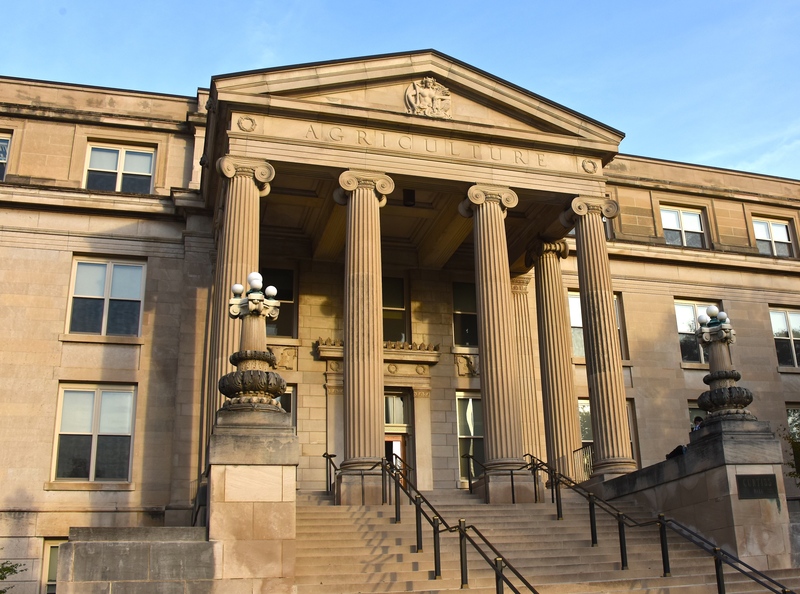 AMES, Iowa – The College of Agriculture and Life Sciences at Iowa State University has awarded more than 1,500 scholarships to students for the 2015-16 academic year. The college and its departments award more than $2 million in scholarships each year. Students interested in applying for scholarships should go to https://www.scholarships.cals.iastate.edu for more information and deadlines. This fall, for the fourth year in a row, the College of Agriculture and Life Sciences experienced a record enrollment. The college has 4,612 undergraduate students and 763 graduate students for a total of 5,375. In October, the college’s Agriculture and Life Sciences Career Day attracted a record number of employers — 277 companies and organizations. The fall career day is the largest of its kind in the nation. Placement of the college’s graduates has been 97 percent or higher for 18 consecutive years. ranks as one of the top 10 agricultural colleges in the world. has nationally recognized faculty — two professors were elected in 2015 to the prestigious National Academies of Sciences, Engineering and Medicine, and since 2006, eight professors have been honored with USDA national awards for excellence in teaching food and agricultural sciences. has an Agricultural Entrepreneurship Initiative that has produced several student start-up companies, one of which earned the 2015 American Farm Bureau Federation Entrepreneur of the Year. has a study abroad program that has sent students to study on all seven continents.